Out of Austrian Alps: Our salt with an unique taste is mined in the heart of the Salzkammergut, in the tunnels and galleries of Bad Aussee. No other sorts of salt contain as much minerals as this specific one. It's conspicuous reddish-brown color is caused by it's exceptionally high content of the mineral among others iron. In total Salzburg's salt from Bad Aussee contains 84 different elements which are an essential part of mother nature as well as of our body. This makes our Austrian rock salt so particularly valuable and high of quality. 150 millions of years ago, back then when the Alps were formed, sea salt had been enclosed deep inside the mountains. Till today our salt is still well protected from environmental influences in the mountain's core. 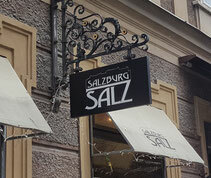 Austrian rock salt is ideal for light as well as good and solid meals. In addition it is a local product, a healthy variation of salt. It serves excellent as a souvenir, keepsake of Salzburg as well as a small gift. We use Austrian rock salt as our basis for our herb and spice mixtures. All herbs and spices are organic. Please enjoy our exquisite variations. Our own mixture has a high percentage on organic herbs cultivated in the Alps as onions, parsleys, coriander, chive and dill. You can definitely taste the difference to conventional herb salts. This mixture makes cooking easy, gives meals an excellent taste and is ideal for pesto, vegetables, dips, salad, fish and steak—of course without any kind of flavor enhancer. Finely grounded pepper mixes with Austrian rock salt and impresses with its composition of white and black peppercorns as well as other savoury spices. This special mixture is an absolute must for every steak-lover. Our local rock salt is mixed with mainly organic garlic in this special edition. The garlic we use is only dried and powdered, not added any flavor enhancer in order to achieve the best taste and quality. We use a tiny bit of curcuma to satiate it's color. This combination creates a tasteful salt to spice any dishes. 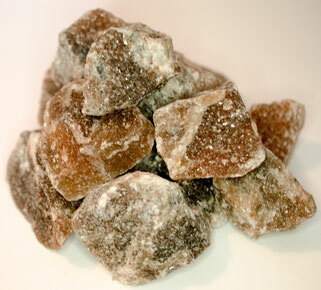 sunshine is an exquisite and special mixture with herbs and Austrian rock salt. Beside mediterranean herbs as rosemary, oregano, basil and thmye we also added diverse blossoms. To make the flavor perfect we use pepper and chili. Small pieces of seaweed make this product special and unique. It fits light dishes, salad and vegetables, soup or roast. Our high-quality natural blossom mixtures are mixed with finest Austrian salt from the Alps. This mixture unite the fresh taste of mallow blossoms with the intense aroma of lavender. Lavender is appetizing and soothing while mallows appease irritation, reduce pain and inflammation. Our mallow-lavender-mixture is excellent for the cuisine a la province.